There’s no better place for winter activities and skiing in New York than Gore Mountain. A short drive from Friends Lake Inn, this award-winning resort offers 107 trails, 15 lifts, and state-of-the-art snowmaking equipment to guarantee snowy fun during your stay at our boutique Adirondack hotel. A great deal at $600! Available January 1st – March 4th (excluding holidays). Gore Mountain, located in nearby North Creek, is New York State’s biggest mountain, peaking at over two thousand feet, and easily the most accessible ski location in the Lake George area. The resort is as affordable as it is fun with over one hundred trails for beginner, intermediate, and advanced skiers, or brush up on your skills at the Gore Mountain Snow Sports School, which offers private lessons and group clinics. The lifts open at 8:30 and close at 4, so get there early and ski the day away – see the Gore Mountain website for more details on lift tickets, ski clinics, and hours. 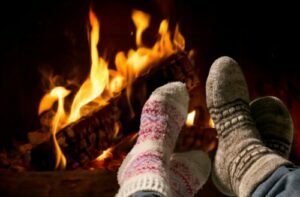 Of course, a day of skiing in New York doesn’t end as soon as you leave the slopes, because relaxing sore muscles, warming up by the fire, and savoring a well-deserved meal are essential. For après-ski rejuvenation, upgrade to our massage package, which includes two one hour massages, special spa basket, and luxury robes to take home. After your massage, celebrate the end of a beautiful day with a three-course meal in our gourmet dining room and sample local brews in our taproom. Not interested in skiing or looking for something different? Not to worry. The Adirondacks are ideal for all sorts of outdoor winter activities. For the skier who prefers to take in the scenery, we recommend our cross-country skiing package, as well as snow-shoeing and snowmobiling packages for our guests who want to mix it up a little. We know that you’re just as excited about the winter season as we are, and we want to know what you’re looking forward to most about skiing, snowmobiling and more in the Adirondacks. 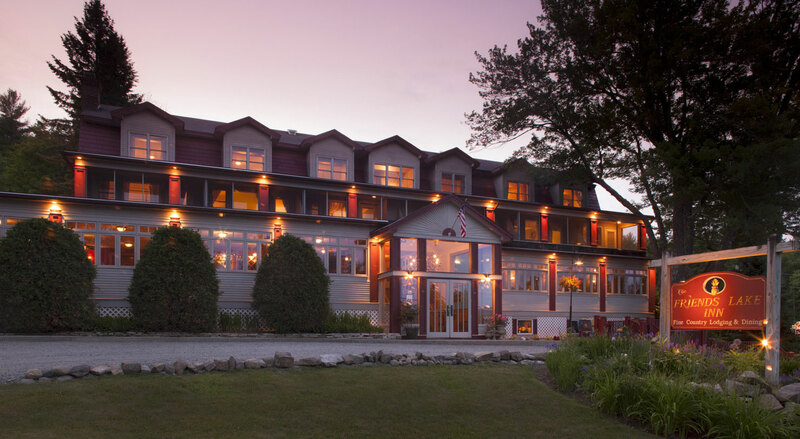 What are your plans for your trip to Friends Lake Inn? Share your thoughts on our Facebook page.